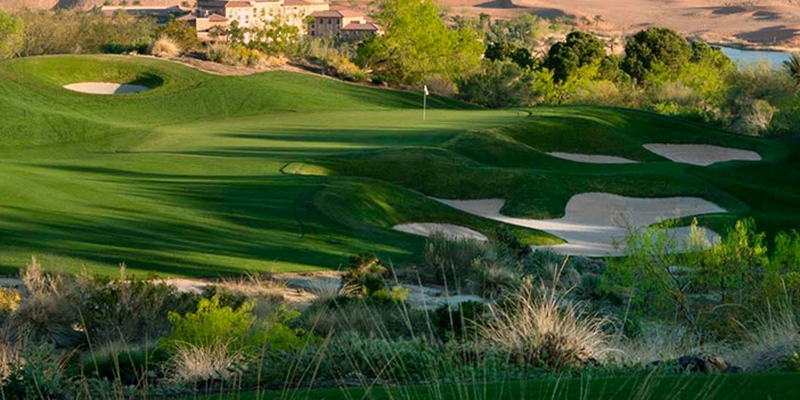 This is a must play private club around the Las Vegas area! They offer reciprocal play to country club memembers so have your pro call or you can get tee times if you stay at a MGM Property on the Strip. The course is stunning. At times feels like a live version of Golden Tee - Par 3's over Canyons and Lakes, jaw dropping elevation changes and vistas that will have you grabbing your smart phone to snap photos to send to your golfing buddies that did not join on the trip. Must play if you can get on! Posted by golftrips on 03/11/2016 - This review has been viewed 1,967 times.